Full disclosure: Got Oil Supplies reached out to me and asked me to try some of their roller bottles and to offer a free giveaway to my readers. They gave me a set of roller bottles and labels that provided the inspiration, but the essential oil roller bottle recipes here are my own. When you’re looking for an oily pick-me-up, roller bottles are convenient. All the benefits of the oils, with no need to get them on your hands. Plus, you can quickly roll a bit under a pant leg or on your belly if you don’t want the scent to be easily noticed. 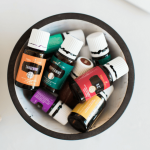 Essential oil roller bottles are great for your sleepy-time blends on the nightstand, at work or school for an immune boost when someone walks in with a cough, in the car when you need to calm your frustration about traffic, or at the homework table to help the kids focus. Some companies sell a few pre-made roller bottles, but to get blended recipes that are just what you need, you can mix up a few of your own. Making your own blends helps you extend the oils by mixing them with a carrier oil, instead of using them neat. 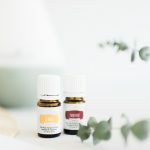 You might also find creative ways to blend the oils that are too strong smelling to use alone, like geranium or ylang ylang (try tree or citrus oils to tone down overpowering florals). Change in the seasons, occasional stress, and increased interaction with others can often challenge your body. 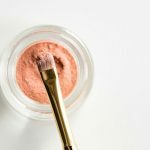 Make up some of your own blends for quick and easy application of your favorite oils, or try my recipes to get you started. 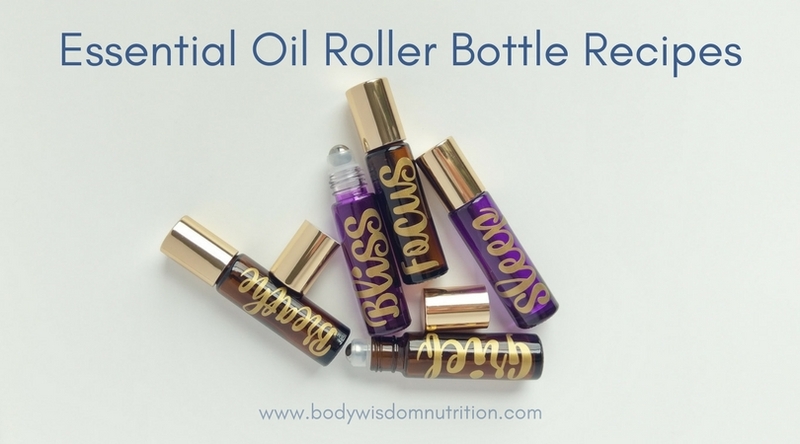 Use a 10 ml bottle glass roller bottle, add essential oils, then fill with a carrier oil of your choice, add the roller top, a label, and you’re done! You can use the custom blended Young Living V-6 Vegetable Oil Complex for your carrier oil, or something you might already have around the house like avocado oil or MCT coconut oil. I make my roller bottles recipes with about 30 drops of essential oils. If that’s too strong for you, or you’re using them on your kiddos, you may want to cut my recipes in half. This is one of the most uplifting blends out there, and makes a lovely perfume as well. Keep this one in your handbag for date night. Essential oils are intended to be used regularly to support your wellness, so don’t think of them as something to try only when you’re getting sick. Stay above the wellness line with this immune-boosting blend. It’s often an emotion that takes us by surprise. This is a blend that I personally used a lot of a couple of months ago when my 15 year old cat passed away very suddenly. He was my soulmate and I was in a fog of grief trying to reorganize my day without all of our rituals. These “feelings” oils can help you stay calm and ground you. Then your emotions can pass through you, rather than becoming stuck in a cycle of avoidance and remembering. This was just three of my favorite recipes, but you can download the guide below for a more comprehensive list. Many of the recipes use oils found in the Premium Starter Kit, so you start with what you have on hand. I’ll be giving away a random assortment of roller bottles and labels to three lucky winners! 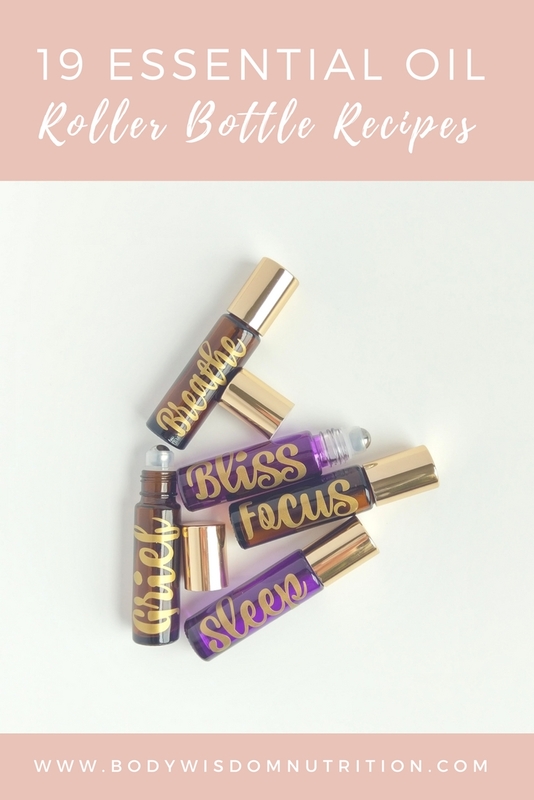 My guide to roller bottle recipes has 19 recipes covering the physical and emotional uses of oils, so you will have the recipes that correspond to the selected labels. To be entered into the drawing, leave a comment answering one of these questions by the end of the day on April 1st. Winners will be drawn on April 2nd 2018. 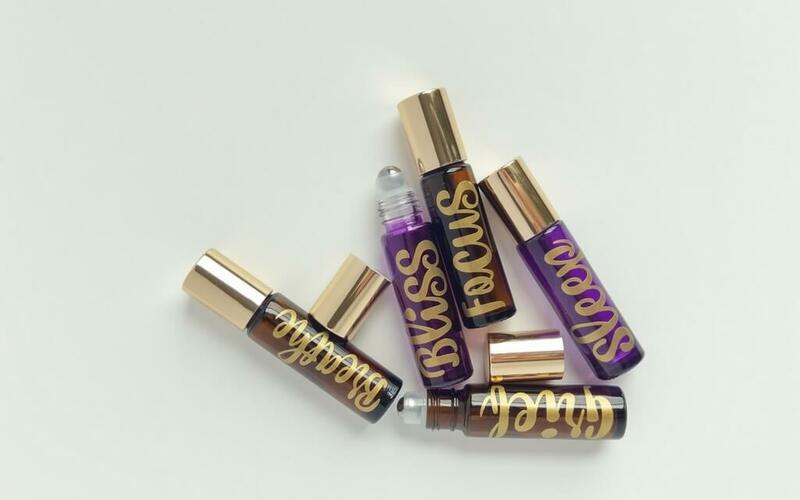 For my oily ninjas: What are your favorite oily combinations to put in a roller bottle, or the diffuser? Newbie oilers: Which recipe will you get the most out of this Spring? Winners will be randomly chosen on Monday, April 2nd! If you’d like the full set of labels to go with these recipes, you can order them from Got Oil Supplies right here on their website! 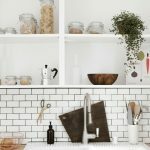 Does a non-toxic home really matter? What a fun giveaway! Thanks so much for the opportunity to win! Love essential oils! The scents in the happy blend are my favorite! 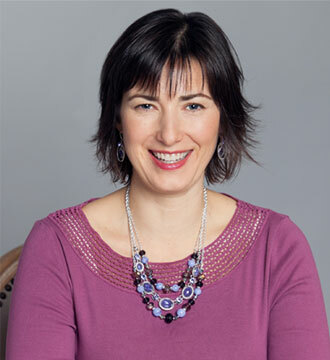 I like mixing 6 drops of Stress Away with 6 drops of Panaway in my diffusers. It smells like a root beer float which brings me back to happy memories of my childhood. I have been loving 20 drops Copaiba, 15 of Frankincense, 7 of Cypress for bruises and joint and muscle pain after workouts and injuries. It is incredible pain relief and speeds up healing!